> AND NOW WE'RE GOING TO TURN TO AN ACTOR WHO'S PLAYED SOME ECCENTRIC CHARACTERS IN HIS TIME. 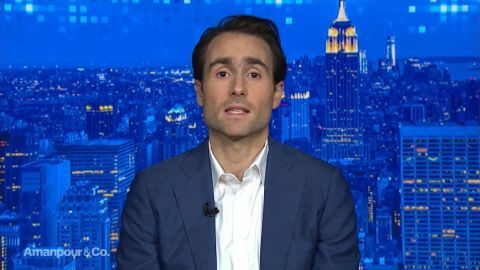 HE CURRENTLY STARS IN A POLITICAL THRILLER CALLED 'THE BLACKLIST,' AS ONE OF THE FBI'S MOST-WANTED FUGITIVES TURNED INFORMANT. THE SERIES HAS BAGGED HIM TWO GOLDEN GLOBE NOMINATIONS, AND THE SHOW HAS GATHERED A HUGE GLOBAL FOLLOWING. OUR HARRY SREENVASAN SPOKE TO THE HOLLYWOOD JUST RECENTLY. FOR OUR VIEWERS WHO HAVE NOT WATCHED THE SHOW, WHAT'S 'THE BLACKLIST' ABOUT? IN THE FIRST EPISODE, A MAN WHO IS ON THE FBI'S MOST-WANTED LIST GIVES HIMSELF UP TO AN ASSISTANT DIRECTOR OF THE FBI. THEY TAKE HIM INTO CUSTODY. HE'S BEEN WANTED IN MANY DIFFERENT COUNTRIES AND HIS OWN AND SO FORTH, AND CONSIDERED ARMED AND DANGEROUS. AND HE SAID THAT HE WANTS TO MAKE A DEAL WITH THE FBI. SO HE'S AN INFORMANT NOW. HE IS STEERING THEM TOWARDS PEOPLE THAT THEY'VE NEVER HEARD OF AND THAT THEY AREN'T EVEN AWARE ARE OUT THERE. IN THIS SEASON, THERE'S A PRETTY SIGNIFICANT PLOT TWIST, IN THAT HIS KIND OF IMMUNITY IS COMPROMISED. HE IS NOW BROUGHT TO JUSTICE, OR IN THE PROCESS OF BEING BROUGHT TO JUSTICE. OFFICER BALDWIN, ASKED FOR SOME IDENTIFICATION, AND I GAVE HIM A FALSE I.D. SO MAGNIFICENT, EVEN I STARTED TO BELIEVE MY NAME WAS GEORGE MURPHY. HE SAID I LOOKED AROUND NERVOUSLY. THE TRUTH IS, I MADE FUN OF THE MAN. I REFUSED TO GIVE HIM THE RESPECT HE SOMEHOW BELIEVED HE DESERVED. I GET IMPATIENT, I MAKE A COMMENT I MIGHT REGRET. IT'S ONE OF MY BIGGEST ISSUES IN THERAPY, ALONG WITH SOME RESIDUAL ANXIETY FROM CHILDHOOD AND A SEXUAL FASCINATION I'D PREFER TO DISCUSS IN CHAMBERS. THAT'S SORT OF QUINTESSENTIALLY HIM. I MEAN, THERE'S A CERTAIN IRREVERENCE TO EVERYTHING HE DOES. IT DOESN'T MATTER THAT SORT OF LIFE IS ON THE LINE IN THIS CASE. IS THAT EASIER TO PLAY OVER FIVE SEASONS, SIX SEASONS THAT YOU GET TO KNOW A CHARACTER A LITTLE BIT BETTER? I WAS LOOKING FOR SOMETHING THAT WAS VERY FLUID IN TERMS OF TONE, SO I WAS SUCCESSFUL, I THINK, IN FINDING THAT IN THAT THIS IS A SHOW THAT IS AT DIFFERENT, BY TURNS, VERY, VERY EMOTIONAL, VERY FUNNY, VERY INTENSE, SOMETIMES DISTURBING OR STARTLING. AND SOMETIMES, A LOT OF THOSE THINGS ALL AT THE SAME TIME. AND I WANTED A CHARACTER WHO I WOULD STILL, AFTER A PERIOD OF TIME, IF THE SHOW CONTINUED TO RUN, A CHARACTER THAT WAS ENIGMATIC ENOUGH TO ME THAT I WOULD STILL BE SURPRISED BY HIM OVER TIME AND I'D STILL BE CURIOUS ABOUT HIM OVER TIME. I REMEMBER WHEN I FIRST READ THE VERY FIRST EPISODE, THE PILOT, YOU KNOW, BY THE END OF THE STORY -- BY THE END OF THE STORY, YOU KNEW LESS ABOUT HIM THAN YOU KNEW AT THE BEGINNING, REALLY. ANYTHING YOU LEARN ABOUT HIM JUST POSES MORE QUESTIONS. AND SO, I KNEW THAT THIS IS A CHARACTER THAT WOULD HAVE A CERTAIN AMOUNT OF STAYING POWER, FOR ME AT LEAST, IN TERMS OF CURIOSITY. ARE YOU SURPRISED THAT IT'S DOING SO WELL? I MEAN, EVERYBODY HOPES THAT THE PROJECT THAT THEY'RE WORKING ON SUCCEEDS. HERE YOU ARE, AVERAGE OF 7 MILLION PEOPLE PLUS WATCHING SIX SEASONS INTO IT. I RESPONDED TO THE MATERIAL AND RESPONDED TO THIS CHARACTER. AND THAT'S ALL I HAVE AS A GAUGE, REALLY, IS WHAT MY OPINION OF IT IS. AND I WAS INTRIGUED BY THE SORT OF MARRIAGE BETWEEN A SORT OF SERIALIZED SORT OF METHODOLOGY TO THE SHOW. I'M MARRIED WITH A PROCEDURAL, BUT I HAVE NO IDEA. I MEAN, I HAVE NEVER BEEN VERY GOOD AT THAT PART OF THIS BUSINESS. I'M PRETTY SELFISH IN MY REASONS FOR TAKING THINGS, AND THEY REALLY -- IT RARELY HAS ANYTHING TO DO WITH WHAT A RESPONSE MAY BE FOR OTHERS, OR FROM OTHERS. WHAT COUSIN IT HAVE TO DO WITH? IT REALLY HAS TO DO WITH MY INTEREST IN THE MATERIAL AND THE WORLD THAT THE STORY LIVES IN. IF IT'S SOMETHING THAT I'M INTERESTED IN EXPLORING, THEN I'LL DO IT. THIS YEAR YOU'VE ALSO IN THE EPISODES HAD STORY LINES THAT HAVE TALKED ABOUT WHAT IS THE MEANING OF TRUTH? THE INTERNET IS INFLUENCING SO MANY THINGS, CONSPIRACY THEORIES. THESE ARE TOPICS THAT AMERICA IS CHALLENGED WITH RIGHT NOW. I'M ASSUMING THIS IS AN INTENTIONAL ACT FROM THE WRITERS, YOURSELF. I MEAN, LISTEN, THERE'S NO QUESTION THAT, YOU KNOW, ONE'S LIFE SEEPS IN, AND THE WORLD AROUND YOU IS, YOU KNOW, A SHOW IS A SPONGE, TO A CERTAIN DEGREE, IN TERMS OF THAT, BUT IT'S INTERESTING THAT THERE'S A BIG STORY LINE THAT'S GOING ON RIGHT NOW ON THE SHOW THAT THE WRITERS WERE WORKING ON LONG BEFORE IT BECAME A NEWS ITEM. AND THE SAME THING WOULD HAPPEN ON ANOTHER SHOW THAT I WORKED WITH FOR A LONG TIME, 'BOSTON LEGAL,' WHERE WE REALLY WEREN'T RIPPING FROM THE HEADLINES. AND YET, AGAIN AND AGAIN, I'D GET A SCRIPT AND WE'D BE WORKING ON SOMETHING, AND IT BECAME -- BY THE TIME IT AIRED, IT WAS TIMELY. YOU KNOW, GIVEN THAT YOU'VE WORKED AT 'THE PRACTICE,' 'BOSTON LEGAL' -- DO SHOWS WITH MULTIPLE HIT SEASONS GET BETTER OVER TIME? BECAUSE I'VE HEARD FROM SOME PEOPLE THAT THE FIRST COUPLE SAEN SEASONS ARE REALLY WHERE EVERYONE HAS THEIR NOSES TO THE GRINDSTONE. THIRD SEASONS, FOURTH SEASONS, THE MONEY STARTS TO ROLE IN, CHANGES THE DYNAMIC. A LOT CAN BE A FACTOR IN HOW THINGS CHANGE AND DEVELOP OVER TIME. FOR INSTANCE, 'THE PRACTICE,' I CAME IN ON THE LAST SEASON. I THINK IT WAS THE EIGHTH SEASON OF THAT SHOW. AND I WAS BROUGHT IN BECAUSE SIX CAST MEMBERS HAD BEEN LET GO. AND WHAT HAD HAPPENED WAS, THE SHOW HAD BEEN ON -- IT WAS IN ITS EIGHTH SEASON. THE RATINGS I DON'T THINK WERE AS STRONG AS THEY MIGHT HAVE BEEN IN THE PAST, AND THE SHOW GOT PICKED UP BY THE NETWORK FOR ANOTHER SEASON, AND THEY HAD HAD THEIR LICENSING FEE CUT IN HALF. SO DAVID KELLY FELT HE COULDN'T MAKE THE SHOW THE QUALITY, SO HE HAD A CHOICE. HE COULD EITHER CONTINUE WITH THE SHOW AT A MUCH-REDUCED LICENSING FEE, IN WHICH CASE HE'D HAVE TO FIRE PEOPLE, OR HE COULD END THE SHOW AND BY THAT TIME, BY AN EIGHTH SEASON, THE AMOUNT OF PEOPLE WHO ARE MAKING THEIR LIVING ON A TELEVISION SHOW IS ENORMOUS. AND HE DECIDED TO KEEP THOSE PEOPLE EMPLOYED FOR ANOTHER YEAR. AND SO, HE FIRED SIX ACTORS. AND I MET WITH HIM, AND HE SAID I'D LIKE TO HAVE YOU COME IN AND BE ON THE SHOW, AND HE BASICALLY WAS BURNING THIS HOUSE DOWN THAT HE'D BUILT, AND THAT'S WHAT THAT CHARACTER WAS DOING. BUT THEN HALFWAY THROUGH THE SEASON, THE NETWORK CAME AND SAID, WELL, HOW ABOUT ANOTHER SERIES WITH THIS SAME CHARACTER, YOU KNOW? AND YOU GET A SPINOFF. NOW, HOW DO YOU CONSTRUCT A SERIES AROUND, YOU KNOW, JUST AROUND THE CAT IN THE HAT, WHICH IS WHAT DAVID CONCEIVED OF WHEN HE THOUGHT OF THAT CHARACTER? AND YOU DON'T EVEN KNOW WHO I AM. YOU DON'T HAVE THE SLIGHTEST IDEA WHO I AM. HOW -- AM I -- AM I SUPPOSED TO RECOUNT ALL OF THE MOMENTS IN MY LIFE LEADING UP TO THIS MOMENT AND JUST HOPE THAT IT'S COHERENT, THAT IT MAKES SOME SORT OF SENSE TO YOU? IT DOESN'T MAKE ANY SENSE TO ME, YOU KNOW. I DON'T HAVE THE SLIGHTEST IDEA WHO I AM. AND I'M SUPPOSED TO BE ABLE TO EXPLAIN IT TO YOU. WHY DO I HAVE TO EXPLAIN MYSELF TO YOU? BECAUSE MAYBE I CAN HELP YOU. WHEN I LOOK WHACK AT THESE CHARACTERS, CLEARLY, IT'S SOMEONE WHO DOESN'T LIKE HIMSELF IN SOME WAYS, AT LEAST ACCORDING TO SOME OF THE OTHER CHARACTERS. IN THIS SHOW, 'BLACK LIST,' RECENTLY THERE HAS BEEN A SHRINK THAT KIND OF LOOKS AT YOUR DEEPEST, DARKEST CORNERS AND SAYS, YOU KNOW, YOUR FEAR IS THAT YOU'RE AN IMPOSTER. YOU GO ALL THE WAY BACK TO SETH, THE HORRIBLE CHARACTER IN 'PRETTY IN PINK,' AND THE OTHER CHARACTERS ARE TELLING YOU THAT YOUR SELF-LOATHING IS SOME OF THE STUFF THAT'S DRIVING YOU. I'M GETTING REALLY BORED OF THIS CONVERSATION, ALL RIGHT? IF YOU WANT YOUR LITTLE PIECE OF LOW-GRADE [ BLEEP ], FINE, TAKE IT, YOU KNOW? BUT IF YOU DO, YOU'RE NOT GOING TO HAVE A FRIEND. ARE YOU DRAWN TO THIS SORT OF THING? I DON'T BELIEVE THAT TO BE THE CASE. I JUST DON'T KNOW IF THAT'S REALLY WHAT IT IS THAT'S DRIVING. I DON'T KNOW WHETHER THAT'S REALLY WHAT WAS DRIVING ALLEN SHORE, AND I'M NOT CONVINCED THAT IS WHAT'S DRIVING REDDINGTON. I DON'T KNOW HOW MUCH MERIT I GIVE TO THAT. DO YOU LOOK FOR CONFLICT IN CHARACTERS? ARE THEY MORE FUN TO PLAY? IT IS THAT THAT IS STILL THE MOST COMPELLING ASPECT OF THE CHARACTER IN 'BLACK LIST,' IS THAT IS THE DICHOTOMY THAT I FIND AND THE CONFLICT THAT I FIND IN HIM ALL THE TIME. AND BY THE WAY, I WAS VERY SPOILED IN THAT, YOU KNOW, LISTEN, TO A CERTAIN DEGREE, IT'S BY DESIGN. I MEAN, THAT'S ALSO WHAT I FOUND MOST COMPELLING ABOUT THAT OTHER CHARACTER THAT WE'RE TALKING ABOUT, YOU KNOW, ALLEN SHORE, IS THE DICHOTOMY IN HIM. 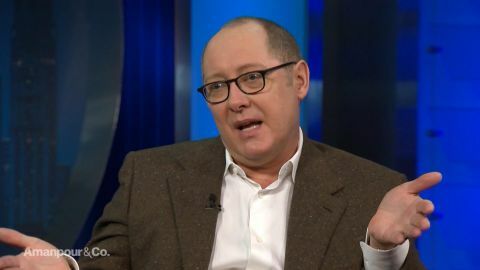 AND THIS MAN, RAYMOND REDDINGTON, WHO IS SO RUTHLESS AND BRUTAL AT TIMES, WHO IS INCREDIBLY VULNERABLE AND THOUGHTFUL AND HAS SUCH AN UNDERSTANDING FOR THE QUALITY OF LIFE AND THE BEAUTY OF LIFE AND THE VALUE OF LIFE. AND WHAT WOULD BE THE THING THAT WOULD TEACH HIM THAT AND GIVE HIM SUCH AN INCREDIBLE APPRECIATION FOR LIFE IS THAT HE'S SO FAMILIAR WITH THE LOSS OF LIFE. ALL THOSE YEARS SPENT WORRYING ABOUT YOU, FANCYING MYSELF YOUR GUARDIAN ANGEL, SHE WOULD TAKE ONE LOOK AT YOU AND KNOW YOU'D BE FINE. AND HE'S SO FAMILIAR WITH THE TAKING OF LIFE, AND I THINK THAT HAS GIVEN HIM A VERY KEEN SENSIBILITY FOR THE COST OF A LOSS OF LIFE. FULLY PRESENT AND FEARLESS, IN A WAY. I THINK HIS COMFORT WITH HIS OWN MORTALITY PROBABLY GIVES HIM GREAT CONFIDENCE, NO MATTER WHAT THE HELL'S ON THE OTHER SIDE OF THE DOOR THAT HE MIGHT BE WALKING THROUGH. SO, I'VE READ THAT YOU'RE DETAIL-ORIENTED TO A POINT OF OBSESSIVE-COMPULSIVE. I THINK I'M IN A JOB THAT'S CONDUCIVE TO THAT DISORDER, IF YOU WANT TO -- LOOK LACK OF A BETTER TERM. I'VE ONLY HAD IT BEEN HELPFUL FOR ME AS AN ACTOR, HAVING A COMPULSION TOWARDS ATTENTION TO DETAIL OR A COMPULSIVE ATTENTION TO DETAIL. ARE YOU STILL LEARNING AS AN ACTOR? THE SAME CRAP I WAS LEARNING AT THE VERY BEGINNING. SOMETIMES IT'S AS SIMPLE AS TO SLOW DOWN A LITTLE BIT, AND SOMETIMES IT'S AS SIMPLE AS SPEEDING UP A LITTLE BIT. SOMETIMES THE BEST DIRECTION IN THE WORLD IS DO IT QUICKER OR DO IT SLOWER. THIS IS WHERE YOU CAME TO FIND YOUR FUTURE IN ACTING. YOU, WHAT, DID YOU DROP OUT OF HIGH SCHOOL? NOT A FUTURE IN ACTING. JUST TO FIND YOUR FUTURE? NEW YORK IS ALWAYS REPRESENTED A VERY, VERY IMPORTANT PART OF MY LIFE. IT WAS A PLACE THAT I LEFT HOME TO MOVE TO. I LOVED THE CITY, AND I STILL DO. I STILL -- I'M REALLY ONE OF THOSE PEOPLE WHO, I DON'T REALLY NEED TO LEAVE NEW YORK VERY MUCH. LIKE, I LOVE TO TRAVEL. I DO LOVE TO TRAVEL. AND I KNOW THERE ARE PEOPLE THAT, OH, WELL, YOU KNOW, THE CITY'S ONLY BEARABLE IF YOU CAN GET THE HELL OUT OF IT. I LOVE THE CITY TO LIVE IN. I'M ONE OF -- I REALLY, TRULY BELIEVE THAT NEW YORK IS THE MOST WONDERFUL PLACE ON EARTH TO LIVE AND A TERRIBLE PLACE TO VISIT. IT'S ACTUALLY MUCH BETTER FOR LIVING. YOU CAN ACTUALLY LIVE A VERY CALM AND RELAXED LIFE HERE, BECAUSE YOU DON'T FEEL LIKE YOU HAVE TO FIT EVERYTHING IN. YOU COME HERE AND VISIT, AND IT'S LIKE, YOU'RE EXHAUSTED BY IT. AND THEREFORE, PEOPLE PERCEIVE THE CITY AS AN EXHAUSTING PLACE TO BE, AND I DON'T FIND IT THAT WAY. I FIND A CALM IN THE CENTER OF THIS CHAOS. JAMES SPADER, THANKS SO MUCH.